“Yeah, there’s a lot of bad ‘isms’ floatin’ around this world, but one of the worst is commercialism. Make a buck, make a buck.” – Alfred, a janitor at Macy’s in Miracle on 34th Street. 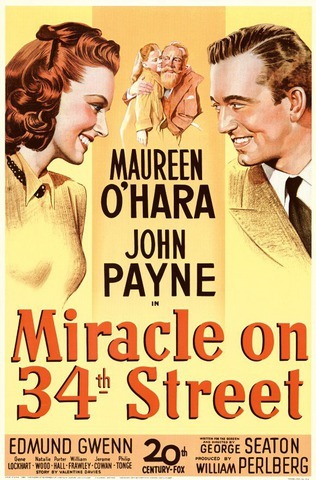 Miracle on 34th Street – the 1947 black and white version starring Maureen O’Hara, John Payne and little Natalie Wood is one of my favs as holiday films go. Doris (O’Hara) works at Macy’s department store. She is also the divorced mother of Susan (Natalie Wood). Doris is super pragmatic. A real left brain thinker. She has raised Susan to think that pretending is lying. Therefore, there is no Santa and no make-believe. 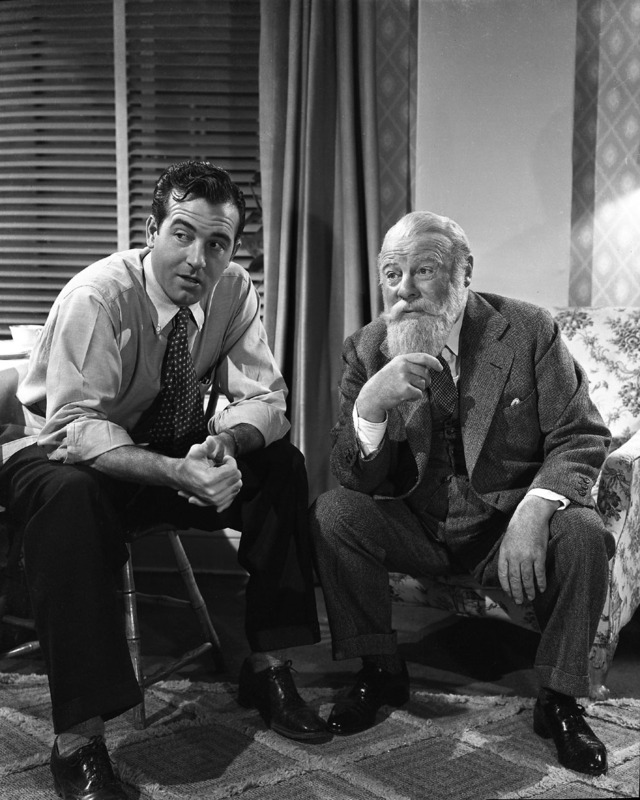 Enter Fred Gailey (John Payne) the single, lawyer who lives next door to them and Kris Kringle (Edmund Gwwen) the elderly gentleman, who is hired by Doris to play Santa at Macy’s department store – for all the gullible children. The thing is Kris thinks he is actually Santa and so does Fred. The two decide their mission is to convince Doris and Susan that they need to believe, too. Not just in Santa but in something. Believing or not believing is a big part of what the film is about. Is Kris a nut job or isn’t he? That ends up being determined at a lunacy hearing at the end of the film. Sure, it’s a “holiday movie” about Santa but it’s not about Christmas. Santa is a frame of mind. Santa is a year-round-way-of-being. Santa is kindness and joy and love and all the other intangibles. It’s a nice change up in gender roles – the guys are about feelings and the girls are about hard edge skepticism. How tough was it for Doris to be a divorced, working mom in 1947? Pretty tough. So maybe she had to be a little more practical than most. And, O’Hara is just dame for the role. In my book, Maureen O’Hara was the only real threat to John “The Duke” Wayne on film (The Quiet Man, Big Jake and McLintock!). 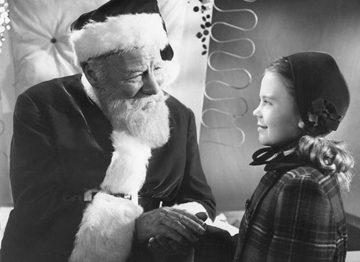 Miracle on 34th Street is a holiday movie wrapped in a fast paced, well-acted, funny, sweet without being sentimental, good message story. Good post. I’m going to revisit Miracle on 34th Street this year. Do it! I re-watched it on ROKU yesterday because I was going to write about it and time flew by and I felt really good about the message. There are certian scenes from movies that just stay with me. One scene is when little Natalie Wood sees the cane behind the door.